This magnificent home is open to inspect on Saturday, March 23. 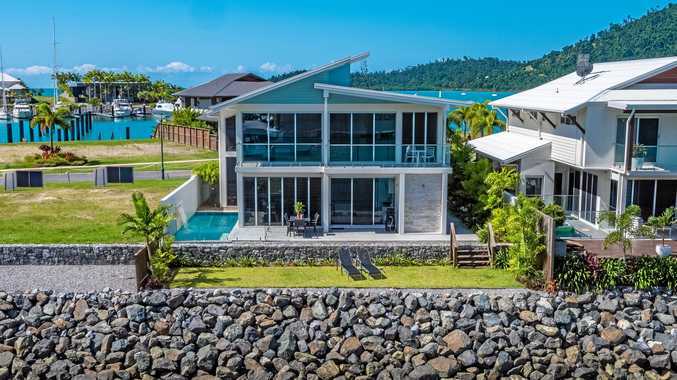 THIS is a rare offering - the opportunity to secure a stunning marina residence in one of Airlie's most prestigious positions, The Cove, at an exceptional price. Architecturally designed to showcase the panoramic views and built to the highest of standards by one the region's most respected and awarded builders, Hounsell Constructions, this light filled home will appeal to the most fastidious of buyers. The spacious open plan kitchen and lounge/dining room flow effortlessly to the outdoor area, which is perfect for entertaining. Featuring three generous sized bedrooms all with marina views, the master bedroom boasts a large walk-in robe and luxurious ensuite. The sparkling inground pool is perfect for cooling down during the warm tropical summers. 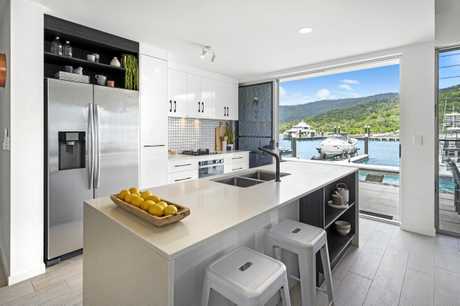 This property offers flexibility as a stunning holiday home, profitable Airbnb investment or primary residence providing a luxurious lifestyle with all that Airlie Beach and the Whitsundays have to offer on your doorstep.